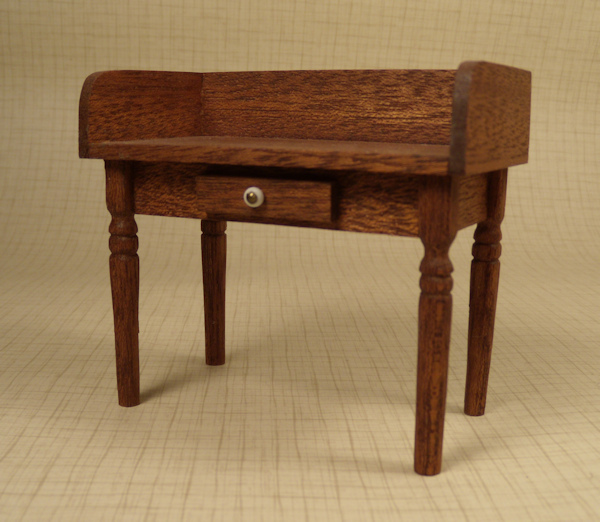 Nicely made mahogany wood desk in the Colonial style and labeled underneath as shown: Americana Designs. The faux drawer in the front has a white and brass knob. Legs are nicely turned. I believe this was made in the 1960's. 1" scale. Height to flat writing portion is 2 1/2" and to the top of the backsplash is 3 1/4". Length is 3 1/2" and depth is 1 7/8". Excellent condition. 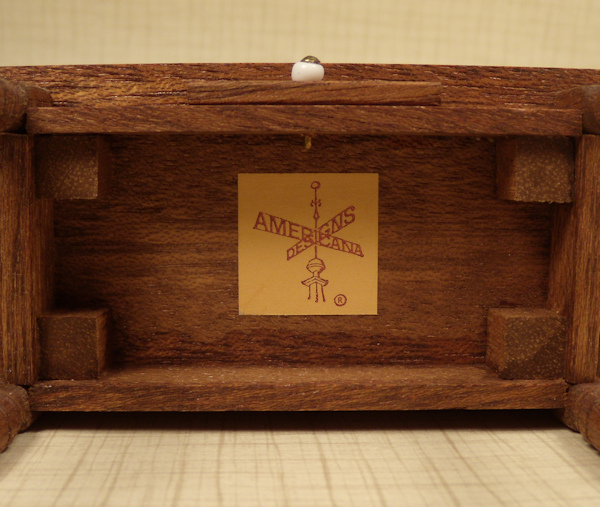 Also pictured with 1" scale accessories which are sold separately. If you are interested in purchasing this item or have any questions, please fill in the following and we will contact you. 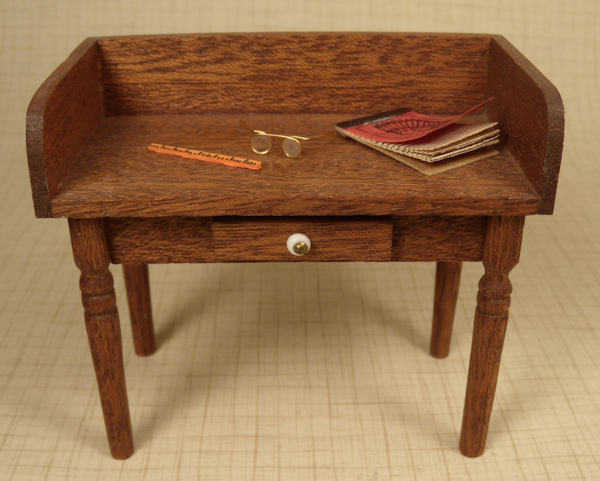 I am interested in purchasing Wood Desk by Americana Designs. All information and photos have been copyrighted by Judit Armitstead ©2019 No portion of this writing and photographs may be used, reproduced, duplicated or copied without the written consent of Judit Armitstead.